Sometimes, spinal complications can result in pain in other parts of the body. This is one of the reasons why treatments usually fail to deliver positive results. Treating the painful body part doesn’t really target the root cause, which is normally in the spine. As such, you need to take proper care of the spine and all the issues associated with it. 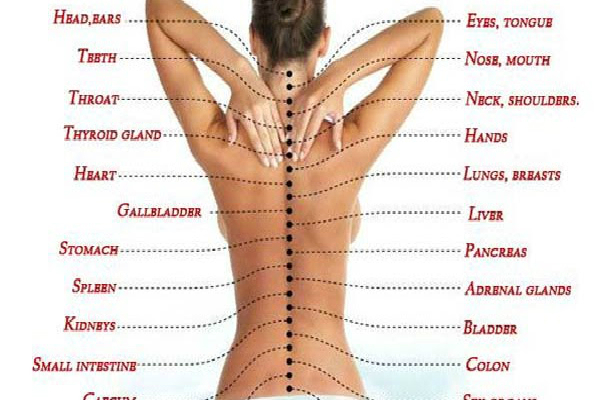 In fact, knowing the area of the spine where the pain is experienced can provide loads of information about the problems centered in other body organs. The inforgraphic below shows the connection between the spine and the internal body organs. If you’re experiencing a tingling sensation or pain in the hands, consider checking the spine around your neck area. Even 70% of the headaches are attribute to spine issues. The lumbar spine complications can lower sensitivity in the legs, undermine walking, and cause pain in the hips and thighs. The pain in the heart, stomach, and intestines, may be a manifestation of problems with the chest part of the spine. Tinnitus,vision problems, and difficulties when swallowing can be attributed to an intervertebral disc dysfunction. Thus, you need to exercise on a regular basis and try your best to strengthen the spine and treat every issue related to it, in order to avert complications in other body organs.